Most traditional power systems textbooks focus on high-voltage transmission. However, the majority of power engineers work in urban factories, buildings, or industries where power comes from utility companies or is self-generated. Introduction to Electrical Power and Power Electronics is the first book of its kind to cover the entire scope of electrical power and power electronics systems in one volume-with a focus on topics that are directly relevant in power engineers' daily work. Composed of 17 chapters, the book is organized into two parts. The first part introduces aspects of electrical power that most power engineers are involved in during their careers, including the distribution of power to load equipment such as motors via step-down transformers, cables, circuit breakers, relays, and fuses. For engineers working with standalone power plants, it also tackles generators. The book discusses how to design and operate systems for economic use of power and covers the use of batteries in greater depth than typically found in traditional power system texts. The second part delves into power electronics switches, as well as the DC-DC converters, AC-DC-AC converters, and frequency converters used in variable-frequency motor drives. 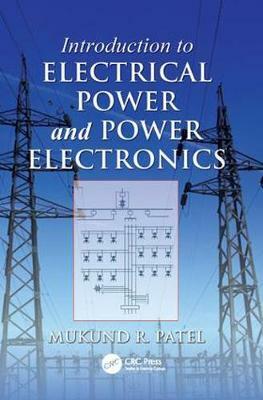 It also discusses quality-of-power issues in modern power systems with many large power electronics loads. A chapter on power converter cooling presents important interdisciplinary design topics. This timely book draws on the author's 30 years of work experience at General Electric, Lockheed Martin, and Westinghouse Electric and 15 years of teaching electrical power at the U.S. Merchant Marine Academy. Designed for a one-semester or two-quarter course in electrical power and power electronics, it is also ideal for a refresher course or as a one-stop reference for industry professionals.